Interested in hunting for your own wild edibles? A field guide is a must to ensure you can properly identify what is safe to eat, and what is poisonous. Here are some suggestions for field guides that will help you find, identify and enjoy wild, foraged foods in Toronto and in Ontario. Northern Bushcraft. With sections on: Berries | Plants | Mushrooms. Ontario Wildflowers – Edible Species. DANGER: DO NOT rely on photos alone to identify edible plants, edible berries, edible mushrooms, etc.! Second, some great field guidebooks. These are helpful for making a positive ID as they discuss distinctive features of wild plants, wild berries and wild mushrooms beyond simple photos. A comprehensive, definitive resource for those interested in wild greens. Focuses specifically on Ontario and environs: a great guide to the species found here. Comprehensive and authoritative, with great photos and a handy field-ready binding. Focusing more on habitats south of the border, this is nevertheless a useful guide. UPDATE: Also hard to find now, try the one above. An excellent guide with great explanations of identification. Masterpiece of North America’s most popular mushroom expert, this reference tome covers a wide range of species found across the continent. 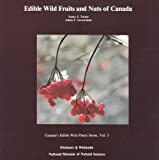 An older book that does an excellent job of introducing key wild edibles in this region. By one of Canada’s leading ethnobotanists, this field guide is part of a series covering mushrooms, berries and plants. Lots of great nuts in southern Ontario. A very accessible guidebook for beginners that teaches a lot about the pragmatics of field identification. Focuses on mushrooms of the west, but many overlap with the east. Highly readable and recommended. This entry was posted in Wild Food and tagged books, field guides, food, foraging, nature, plants, wild, wild food. Bookmark the permalink. Thank you for this info Dylan. Loved the show on CBC today! I feel SO inspired to get out and forage. My pleasure, Anna. I wish you happy hunting! I am wondering if you can suggest anyone who could teach this stuff first hand in southern ontario? I would love to take some kind of mushroom forging course. I took a forging course last spring and found it much better learning from someone who does it regularly. The Mycological Society of Toronto does regular forays. First foray or meeting is free, and then you can become a member. Usually they are going north of Toronto, though. That would probably be the best place to meet lots of people you could learn from, especially regarding mushrooms. Peter Blush (Puck’s Plenty) does tours in the Stratford area. Not sure how much you’d learn from one tour but that could be a start. There are also others around, particularly in Toronto, doing foraging courses. You can Google around and find news stories about many of them. Try “foraging tours Ontario” or “wild food walk Toronto” or “mushroom foraging tours” or the like. Guelph might be another place to look. You could also check up Meetup for groups interested in foraging or mushrooms. Try http://foraging.meetup.com/cities/ca/on/toronto/ and increase the search radius to suit yourself. Firstly, thanks for putting these great resources together, Dylan! Secondly, the p.i.n.e. project and some of our sister organizations specialize in offering workshops for adults in primitive and naturalist skills. I hope this is useful! Have a great summer! Hi Jelani, that’s a great question. There are a lot of different varieties of this plant, which is also sometimes called amaranth, or pigweed…or many other names. Here’s a page with a lot of interesting information on it, including about wild or feral varieties: http://www.eattheweeds.com/amaranth-grain-vegetable-icon/.